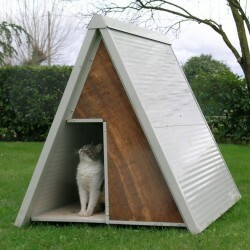 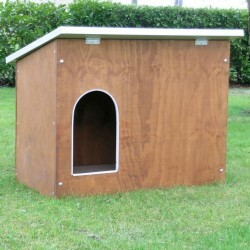 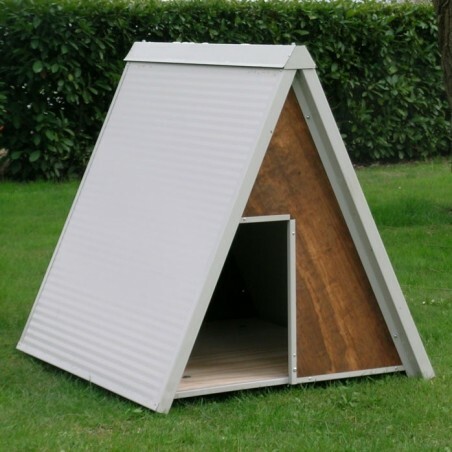 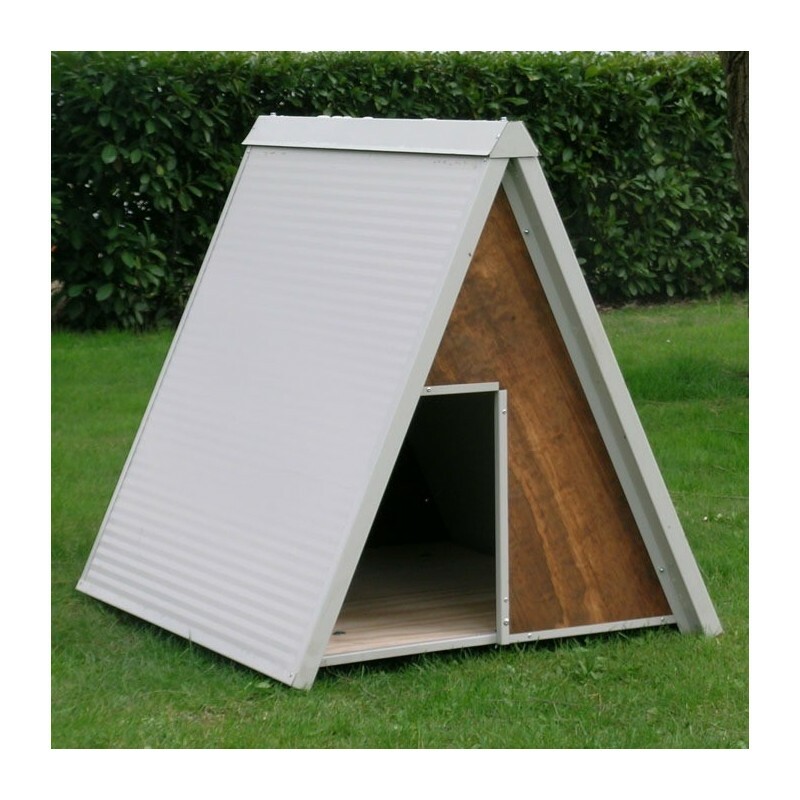 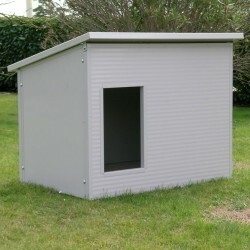 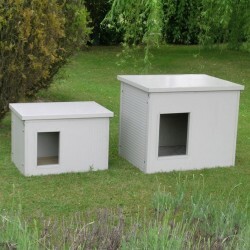 The dog house Shepherd model is made of marine plywood and has insulated panels for the roof. 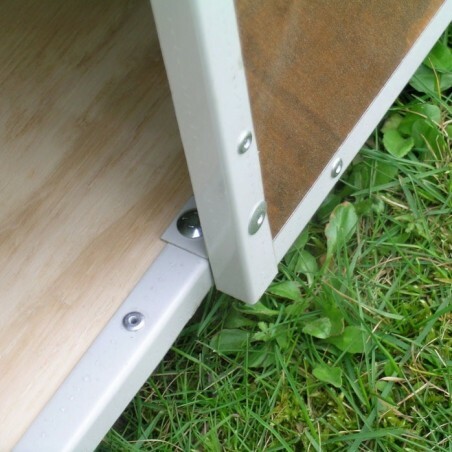 The Cabin has a fixed wooden inner bench, raised from the ground with plastic feet. 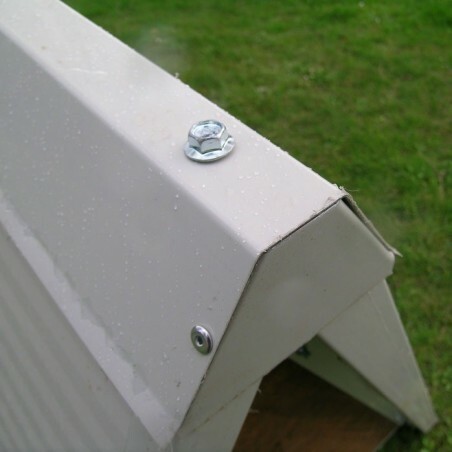 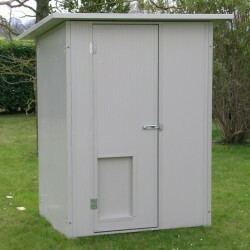 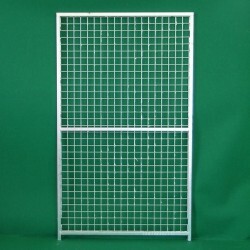 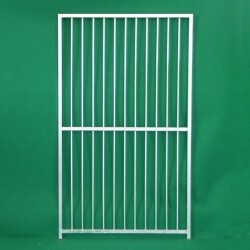 The entrance is 30 x 44h and is edged with metal antibiting.